Mediation can transform conflict into resolution. From being in a place of distress to a space of peace and harmony, Mediation can be beneficial to move towards healthier interactions. Often there is no right or wrong, just a pathway towards peace. At Mediation Success we are passionate about keeping what are essentially relationship issues, out of costly, drawn-out and distressing legal processes. Mediations are beneficial to resolve relationship issues between family members and separating parents, as well as supporting parents to keep in mind the best interests of their child. Mediation may also help civil issues including neighbourhood disagreements or workplace issues. Mediation can be an alternative to disputes like restraining order applications and civil proceedings. Mediation is a process where an independent registered practitioner who is an impartial third party, facilitates positive communication between participants to explore resolutions that work. Issues can arise after parties decide to separate or divorce, need to work out the best arrangements for the children or settle on a fair division of joint assets or property settlement. When people are exposed to interpersonal conflict, other legal proceedings can arise like restraining order applications. At Mediation Success we recognise that people will be exposed to conflict at certain points in their life, and having access to fast, low-cost interventions like Mediation can help people move forward towards healthier outcomes. At Mediation Success, we offer a 20-minute free consultation to discuss if mediation can be beneficial in your unique situation. Then the mediator will meet with each party individually to discuss and design a process that is right for you. The individual meeting will also assist participants to prepare for the process to ensure speedy resolutions. You may also choose to commit to an individual child focused session prior to a joint mediation session. Parents can benefit when they mindfully navigate separations that support children’s needs. Mediation supports participants to reach agreements that are long-lasting, cost-effective and are mutually agreed to by all parties. 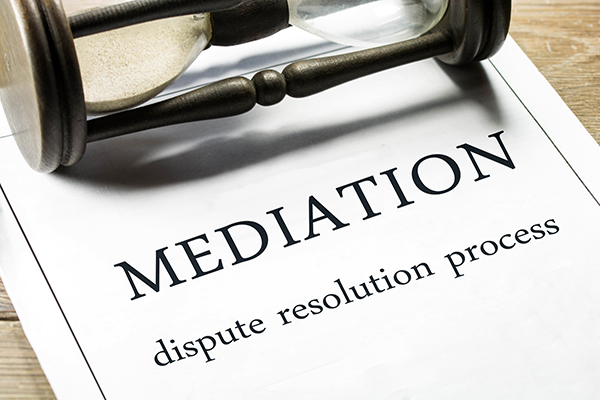 We offer a FREE 20 minute session to all clients to discuss if mediation is right for you! Fast, Affordable Resolution Options to Avoid Lengthy, Distressing and Costly Court Processes. Your agreement will be drafted ready for legal advice and lodgement in the family Court or any other civil proceedings. Low cost fixed rates are available.